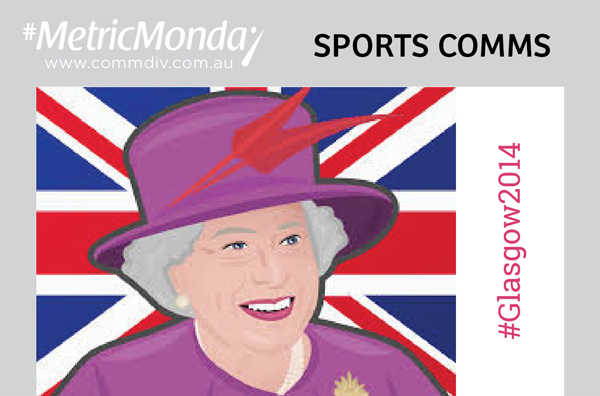 No one loves metrics more than sports fans, so in the season for the 2018 Commonwealth Games on Queensland’s Gold Coast, Metric Monday leaps into a scoreboard of metrics for measuring the effectiveness of sports communication and sporting events. When it comes to benchmarking, organisers of major sporting events need look no further than the previous event! Although there are sure to be differences, they are an ideal basis for comparison and for setting targets. So, what happened in Glasgow for the XXth Commonwealth Games? 25.8 million page views of the www.glasgow2014.com website over the 12 days between 3 July and 3 August 2014 from 228 countries. The top tweet in terms of reach was The Queen’s ‘photo-bomb’ of an Australian field hockey player’s selfie which was retweeted over 27,000 times!